Suzanne and Jim Cantrell were brought together by their mutual love for horses. Suzanne, originally from Brisbane Australia, spent her childhood involved in pony club and competing in the hunter/jumpers. Jim was raised on a Quarter Horse farm in Illinois, spending his childhood immersed in his family’s breeding and training business. Jim and Suzanne met in Illinois, and their early courtship involved Suzanne inviting Jim over for a ride on her beloved Paso Fino horses. The couple married in 2006, and together they began the next chapter in their lives – breeding and competing their beautiful Paso Finos. Illinois winters are not for the faint of heart nor easy on avid horsemen. The Cantrell’s began wintering in Ocala before taking the leap to relocate to Marion County permanently. During their time of researching properties for sale and real estate agencies, they met Rob and Chris Desino, as well as Matt Varney. In 2012 the Cantrell’s purchased their first farm through Ocala Horse Properties, and in 2014 they moved a mile down the road to the current home of Fox Hill Paso Finos. The breed has a 500-year history and lineage originally tied to the Spanish Jennet. Originally bred for the Spanish Conquistadors, the horse became very popular among the Latin communities from the Dominican, Cuba, Puerto Rico, Latin, and South America. The origin of the US Paso Fino’s traces to the arrival of Christopher Columbus in America. Columbus crossed the Spanish Jennet with Andalusians to produce hardy horses capable of crossing the country with ease and endurance. Their trademark smooth gate was also important to the military and explorers who spent long days in the tack. Post-WWII, more Americans were introduced to the breed and many horses from Puerto Rico and Latin America were imported into the states. 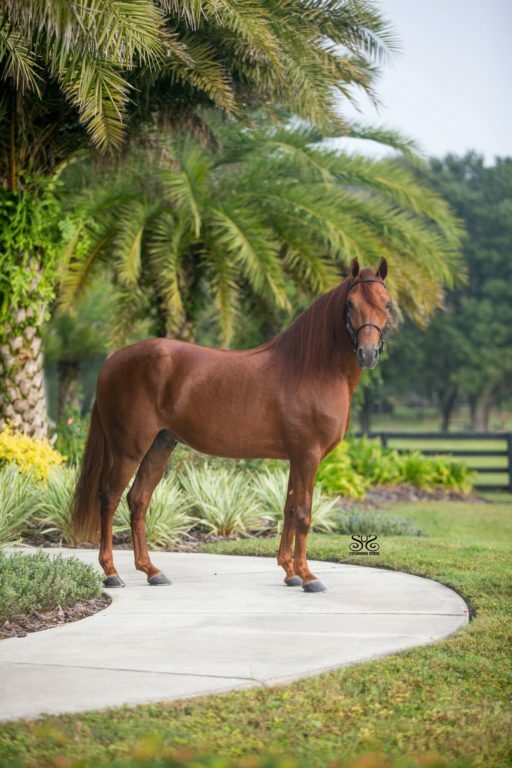 The trademark movement of the American Paso Fino retains the breed’s smooth gates and 4 beat canter, which results in a very comfortable experience for the rider. The majority of Paso Fino horses range in size from 14h-15h, are short coupled and have long flowing manes. They are wonderful horses for families who enjoy trail riding, but many people take great pride in showing off this gaited breed at the horse shows. Miami and the Ocala are two of the most heavily populated regions in the USA for Paso Fino enthusiasts, with both areas hosting many competitions and championships throughout the year. Similar to the more mainstream English or western shows, the Paso Fino competitions offer different divisions geared towards varied levels of performance for the horse and rider. There are Equitation and Pleasure classes, as well as Performance Fino and Classic Fino classes which really show off the horse’s brio (a Latin term for energy). During these Classic Fino classes, the horses take very short, collected rapid strides of 4 to 6 inches, with footfall of 100 beats/minute! Horse and rider will also take their turn on a sounding board, which is 75 feet long, so the judges can listen for the 4 beat lateral gate. The Ocala Livestock Pavilion hosts 4 shows a year (Jan, March, April, July) all as qualifying competitions leading up to the National Show in September held in Perry, Georgia. This past year, the Youth Mundial Show in Ocala hosted more than 200 kids, mostly Latino, for this enormous event. There were US riders, but many of the youth riders traveled from other Hispanic countries to participate. The kids who traveled to Ocala to take part in this show leased horses from local Ocala & Miami Paso Fino farms for the competition. Yet another great example of how strong the bond is within the local Paso Fino community! The Cantrell’s are very involved in Paso Fino competitions, being drawn to the sport by the cultural energy at each event. During our chat with Jim and Suzanne, they mentioned that attending the horse shows is always a highlight of their breeding and training business at Fox Hill Paso Finos. The Cantrell’s love the horse shows because of the festive environment and wonderful cultural experience. Riders dress in tuxedos for the Classic Fino and Performance classes and a more casual sport coat and pants for the Pleasure classes. The Cantrell’s are hopeful that the new World Equestrian Center in Ocala will continue to foster the Paso Fino community by hosting USEF recognized national shows in the near future. Fox Hill Paso Fino’s has a flourishing breeding program at their 70-acre farm in the heart of Ocala horse country. They are currently standing 2 world class stallions which have produced offspring from several world championship foundation mares. Caprechio del Richuelo is their proven World and Multi Grand National Performance Stallion, and Espejismo de FH (the newest addition to the stallion line up) is at 4 years old already a National Champion. They have two main trainers who work with their young stock and competition horses; Jochi Rodriguez, who works with the young horses and is a student of John Lyons, and Benny Orlando Cotto who focuses primarily on the training and showing of the competition string. 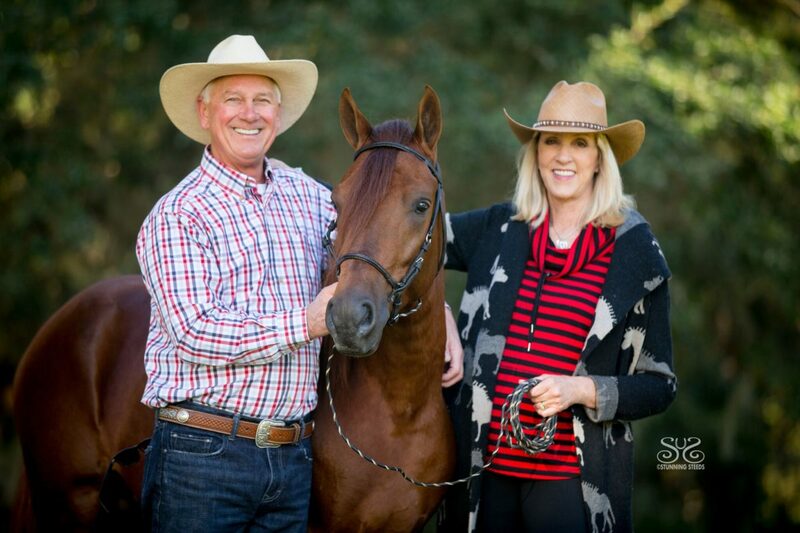 The Cantrell’s are wonderful ambassadors to Paso Fino horse sport and have found their community thriving in Marion County. They are committed to the Ocala region and have invested in multiple properties since purchasing their first farm purchase in 2012. Ocala Horse Properties is thankful to the Cantrell’s for allowing us to peek inside their world of Paso Finos. For more information on Fox Hill Paso Finos, please visit their website. To learn more about the breed and the thriving network of Paso enthusiasts in the region, please click here to visit the Paso Fino Horse Association. A very special thanks to Cheri Prill of Stunning Steeds Photography!